Jonathan Gruber is an expert analyst of the costs and benefits of healthcare reform. He was a principal architect of Massachusetts’ landmark reforms, and a key advisor to the Obama administration in its creation of the Affordable Care Act. Jonathan is a Professor of Economics at the Massachusetts Institute of Technology, where he has taught since 1992. He is also the Director of the Health Care Program at the National Bureau of Economic Research, where he is a Research Associate. He is a co-editor of the Journal of Public Economics, and an Associate Editor of the Journal of Health Economics. During the 1997-1998 academic years Jonathan was on leave as Deputy Assistant Secretary for Economic Policy at the Treasury Department. He was a key architect of Massachusetts’ ambitious health reform effort, and in 2006 became an inaugural member of the Health Connector Board, the main implementing body for that effort. In that year, he was named the 19th most powerful person in health care in the United States byModern Healthcare Magazine. He was a consultant to the Clinton, Edwards and Obama Presidential campaigns and was called by the Washington Post, "possibly the [Democratic] party’s most influential health-care expert." John Boss, III is an Executive Vice President and the Resident Managing Director of the Indianapolis, Indiana office of Aon Risk Solutions. His daily responsibilities include managing his client base, while directing the overall office growth and direction. John specializes in assessing clients in plan design strategies, administration, funding and communications of their employee benefit programs. Some of John’s recent client engagements have included funding alternatives for medical plans, on-site clinics, voluntary benefit strategies, redesign and development of flexible benefit plans, managed care network analysis, and the development of wellness/health promotion programs which will link healthy employee behaviors to the employer sponsored health plans. Some of John’s clients include; Toyota Industrial Equipment, AISIN Holdings of America, Citizens Energy Group, Indiana State University, Valparaiso University, and Rieth-Riley Construction. John has over thirty-two years of employee benefit experience both as an insurance company benefits specialist and as a consultant. He has spent over 26 years with the Aon Companies, always with a specialty focus on Employee Benefits. From 1984 – 1988 John was with Marsh & McLennan Group as an Account Executive. John’s group insurance career started in 1980 with Liberty Mutual Insurance Company as a group insurance specialist. Scott Gottlieb is a practicing physician and a Resident Fellow at the American Enterprise Institute. 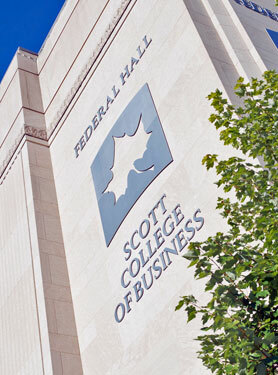 A leading expert in health policy, Scott’s work focuses on providing insights into the economic and technological forces driving the transformation of healthcare. A noted authority on pathways to successful development of new medical products, Scott has testified as an expert witness on health and regulatory matters before the United States Senate and the House of Representatives. The Wall Street Journal identified him as a "forward thinker" on health policy andCongressional Quarterly as an "original thinker with a strong Libertarian streak." Scott is currently a Venture Partner at the venture capital firm New Enterprise Associates. In 2013, Dr. Gottlieb was appointed by the Senate Majority Leader to serve on the Federal Health Information Technology Policy Committee. He is a member of the policy boards of the Society of Hospitalist Medicine and the Leukemia & Lymphoma Society. He is a Board Director to CombiMatrix (CMBX); MedaVante; American Pathology Partners; and Aptiv Solutions. He was previously a director to Bravo Health and Molecular Insight Pharmaceuticals (MIPI). Download Scott's Policy Brief "How Obamacare Will Re-Shape the Practice of Medicine"
Dan Grelecki graduated with a Bachelor of Science degree in Electronics Technology and a Minor in Computer Hardware Design from Indiana State University. Dan serves as the Director of Patient Protection and Affordable Care Act (PPACA) for Old National Insurance, one of Indiana’s largest insurance agencies, and has earned his PPACA Professional designation through the National Association of Health Underwriters. In addition to consulting with his clients, he drives education within the organization’s client base, participates in government agency stakeholder calls, and assists companies in developing ACA strategies. Dan’s additional focus on employee education and wellness has led him to achieve his Certified Worksite Wellness Specialist designation through the National Wellness Institute. His additional background in benefits management systems and payroll/HR integration gives him a unique perspective into the administrative difficulties dealt with by Human Resources professionals on a daily basis. Theresa Jasper is the Vice President of Human Resources for Hulman & Company, Indianapolis Motor Speedway, Indianapolis Motor Speedway Productions, and INDYCAR. Jasper is responsible for overseeing human resource and employment issues – including payroll, benefits, and risk management – for more than 300 fulltime and 2,500 seasonal employees. Jasper was certified as a Professional in Human Resources in 2002. She has been affiliated with the Indianapolis Chapter of Society of Human Resources Management since 2003, is in her eighth year as an advisory board member for Harrison College in Indianapolis, and also serves on the Clark H. Byrum School of Business Board of Visitors at Marian University. David B. Kendall is a Senior Fellow for Health and Fiscal Policy at Third Way. Third Way has been described as the only Washington DC think tank that has "incorrigible pragmatists," "radical centrists" and "the best source for new ideas in public policy." David works on ways to lower health care costs, reduce the federal deficit, reform federal retirement programs, and ensure the success of health care reform. He has spearheaded a variety of Third Way projects including a deficit reduction plan for the "Super Committee," and showing the benefits of health care reform. Prior to joining Third Way, he served as Senior Fellow for Health Policy at the Progressive Policy Institute. A Capitol Hill veteran, he served for seven years on the staff of Representative Michael A. Andrews where he held several positions including legislative director and senior policy director. In 1993, he served on the President’s Task Force on National Health Care Reform. In 1986, David was a legislative assistant to Representative James R. Jones, former chairman of the Budget Committee. He attended the University of Chicago as an undergraduate. He has written and commented on health and fiscal issues in a variety of media outlets including The Washington Post, The New York Times, The Wall Street Journal, NPR’s All Things Considered, National Journal, Fox News, ABC News, The Huffington Post, Politico, The Hill, Roll Call, Democracy Journal, Health Affairs, Kaiser Health News, and C-Span. He has testified before Congress several times. Download David's Policy Brief "ObamaCare: Rocky Politics, Stable Coverage"
Wes Mantooth is a Principal and Employee Benefits Practice Leader for Gibson. In addition to his responsibilities of assisting employers with analyzing, developing, and implementing employee benefit strategies, he is responsible for the overall strategic direction, operations, and carrier relationships for the employee benefits practice for all Gibson locations. Wes joined Gibson in 2008, becoming a Principal and a member of the five-person Senior Leadership Team 2010, aiding the implementation of the overall strategic plan of the agency. Prior to joining Gibson, he was employed at the Indianapolis office of Mercer, working with clients in the financial services, education, healthcare, and manufacturing industries where he also had oversight of the small and middle market divisions for the Indianapolis office. He began his insurance career with Aon Consulting in 1999. Jim Mills is the Vice President of Human Resources for Fairfield Manufacturing Company based in Lafayette, Indiana, a position he has held since March of 2006. He is a graduate of the University of Illinois at Urbana-Champaign. He currently is Chairman of the Indiana Chamber of Commerce Health Care Policy Committee, a member of the Board of Directors of the Hanna Center, a member of the Center for Economic Education Advisory Board at Purdue University’s Krannert School of Management, and on the Advisory Council for the College of Technology at Purdue University. Previously with General Motors, Jim held a variety of HR-related positions culminating as Regional Manager for Health Care Initiatives, responsible for the entirety of GM’s Indiana health care expenditure. He has served on multiple committees and task forces related to health care issues in the Central Indiana area; was a founding member of the Employer’s Forum in Indianapolis; was the Co-Director of the Madison Health Partners community health care initiative based in Anderson, Indiana; and was the HR/benefit principal on the City of Indianapolis’ Task Force on the privatization of the Naval Avionics facility in 1996. Seema Verma is the President of SVC, Inc., an Indiana health consulting company. She has worked extensively with state, local and federal government agencies and private corporations on a variety of projects in the social services arena including the uninsured, Medicaid, public health, and other social services programs. Seema has served as a policy advisor to the State of Indiana on a variety of health care issues. She is the architect of Governor Daniel's Healthy Indiana Plan (HIP) and led efforts to implement all aspects of the HIP program. Seema is currently serving as the Health Care Reform Lead for Indiana and is responsible for coordinating the various Indiana State agencies around the implementation of the Affordable Care Act. Prior to consulting Ms. Verma served as Vice President of Planning for the Health & Hospital Corporation of Marion County. Prior to her work at HHC, Ms. Verma worked as a Director with the Association of State and Territorial Health Officials (ASTHO) in Washington D.C.